While the computer industry argues that Paper (and print on the meduim) is dead, a lot of people still want their information from magazines. Enter Mygazines, a community driven site that allows its users to upload and share magazines online so you can read for free without paying. 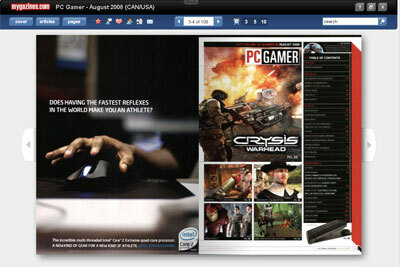 The site currently hosts a wide range of titles ranging from MacWorld, EGM, CGW and even Popular Mechanics. 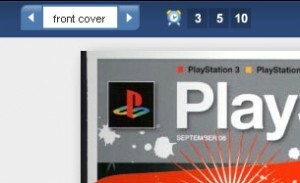 If you’re interested in a particular magazine, do a quick search or browse through the categories. 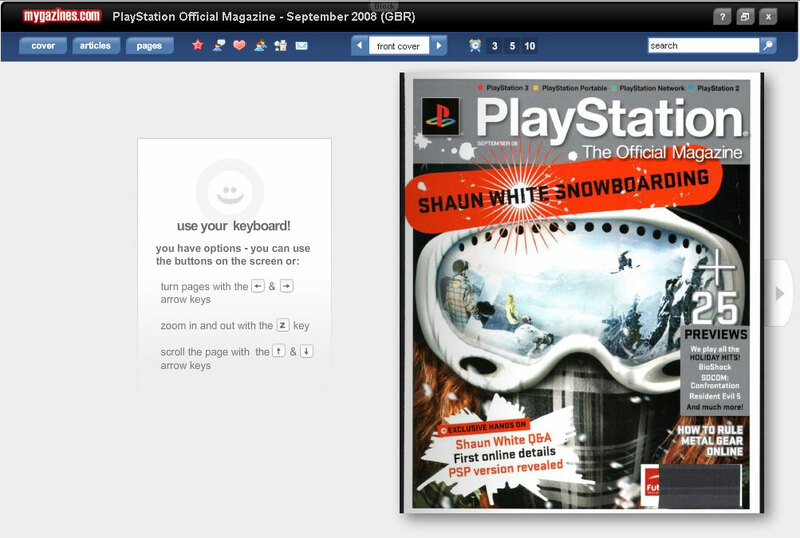 These online magazines open up in a flash flip-book style; which offers you control via mouse clicks or the keyboards keys. You can check out Mygazines here.